Is it snowing in Picos De Europa ?Merci! The Picos De Europa is approximately 20 km inland from the north coast of Spain. It is made up of three large massifs,eastern,central and western. 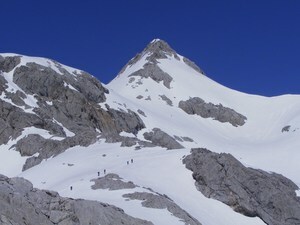 The highest peak of the Picos De Europa is TorreCerredo, with an altitude of 2648 metres. There are opportunities for ski touring in this limestone landscape that has official status as a national park. There is no official ski resort in the Picos De Europa area and we have no information about the existence of any cross country ski trails at Picos De Europa. The nearest airport is at Santander. 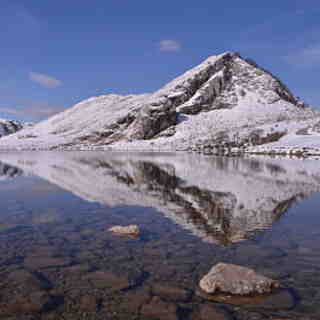 The Picos de Europa region is a great area for mountain skiing with a really beautiful scenery. High peaks and deep valleys with the Cantabrian Sea so close that it can be seen from most of the routes. The forecast is very helpful because heavy storms are very common and it is usually quite accurate. 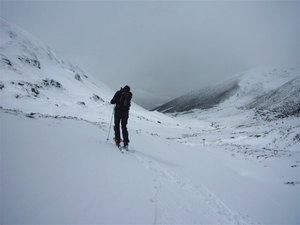 Avalanche risk is usually low because of the mild climate, so powder snow transforms quickly. But for a few days after windy storms one should be very careful. Spring conditions are excellent.